Let’s face it, most hot sauces aren’t actually that hot. Sure, they add a little flavor to whatever you’re cooking, but most of the time, they don’t offer a whole lot of heat. 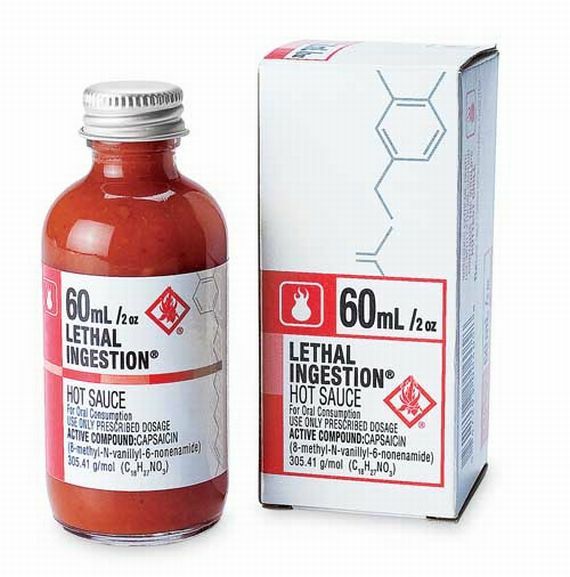 If you’re looking for a more potent hot sauce, try Lethal Ingestion. If the crime is bland food, then the appropriate punishment is Lethal Ingestion; it’s the hottest non-extract hot sauce on the market and it’s sure to add the heat you’re looking for to any meal. Just be warned, it’s called Lethal Ingestion for a reason – this stuff is potent! Only use it if you’re sure you want some real heat on your food.